Earlier this month I had the opportunity to attend a South China Sea simulation held by the International Peace and Security Institute at John Hopkins University’s School of Advanced International Studies in Washington, D.C. Over at the ASPI’s The Strategist I detail some lessons from the simulated negotiations over developing a joint communique. In the run-up to the exercise I asked colleagues on Twitter and in the CIMSEC Facebook group to suggest “wild cards” that could be played to shake-up the talks. Unfortunately many of these turned out to be outside my bounds as a country representative from Vietnam (or really any country’s representative) to enact. But, not one to let their creative thinking go to waste, I thought I’d take a moment to assess their likelihood of impacting and altering the negotiations in a fundamental way. These are not judgments on the likelihood of whether such a scenario will occur – many are rather improbable, but they are after all called “wild” cards for a reason. Impact: Medium: A shift in Indonesia’s public position on whether it has an official dispute would add to the moral “weight” of those similarly embroiled, but it’s unclear China would alter its focus on bilateral negotiations as a result. Indonesia would lose something of its mantle of an impartial regional moderator. Taking it a step further and filing a case (or threatening to) with the International Tribunal on the Law of the Sea (ITLOS) would potentially be more impactful as leverage. Impact: Low: If it doesn’t move beyond rhetoric or international arrest warrants, but China could use such a claim to spook the Philippines (and counter-insurgency American military advisors) into thinking it the link may be used as pretext for unilateral action in defense of its interests. Impact: High: A pro-Chinese government would potentially seek accommodation on disputed areas and be more willing to cede claims – whether territorial or for resource exploitation. Impact: Medium: While the opposite is probably more likely, if China settled its claims with the Philippines it could try to isolate Vietnam and exert greater leverage for concessions in an ultimate deal over resources and/or sovereignty. Unlike the Philippines, Vietnam sits outside of American treaty obligations and de-linking the issue from an American treaty could also remove some of the incentives for the United States to be as actively involved in resolution of the dispute. Impact: Low: The stock exchange has tools to suspend trading and minimize the impacts of a disruption while fixing the breaches. Public outcry could force the United States into a tougher negotiating posture. Impact: Low: What would be the resultant effects and actions are essentially already ongoing. Impact: Medium: Unlikely to alter China’s negotiating position, but would add to moral authority of other claimants and could cause outside parties to back the Philippines or file their own ITLOS claims. Impact: Medium: Depends on the outcome of these attempts and any casualties, but would alter focus of the negotiations and potentially provide Philippines leverage to get China to stop its own construction. 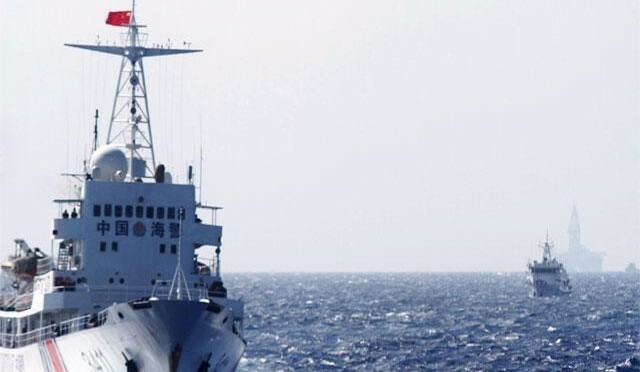 Impact: Medium: Although Vietnam and Chinese non-naval vessels have tangled in limited engagements over China’s placement of a rig this summer, the destruction of a rig or a large number of casualties would greatly increase tensions. If these were followed by ultimatums they could back negotiators into corners, although the difference in outcome would still likely not be much different from the above scenario. Impact: Low: The greater transparency would likely have little impact on the talks, but could provide negotiators a common point of reference (and I for one would enjoy tracking the movements). Impact: High: Certainly changes everything. Impact: Medium: If the United States tries to play to media, psychological, and legal warfare it could encourage the other claimants to make ITLOS cases, sign UNCLOS itself (presuming of course it could pass Congress), and declare that it will actively enforce ITLOS ruling when decided as pertains to treaty ally Philippines. On the media front, popular American television show Deadliest Catch could film its next season in the South China Sea, while a psychological approach could threaten to inundate disputed territory with the sounds of Justin Bieber. Combined, these approaches may make Chinese team more willing to negotiate…or just more resentful. Thanks to Dan Hartnett, Bryan McGrath, Chris Rawley, Armando Heredia, M. Taylor Fravel, Theresa Fallon, Craig Hooper, Natalie Sambhi, and Doug Gates for their inputs. What if a civilian with a bomb-armed drone attacks a chinese coast guard ship? what will its effect be?